Kaci here. I heard Kyla apparently talking to herself. I was napping under the grooming table and Kyla got on the table and started talking. That’s not like her-sometimes she makes no sense but she never talks to herself. 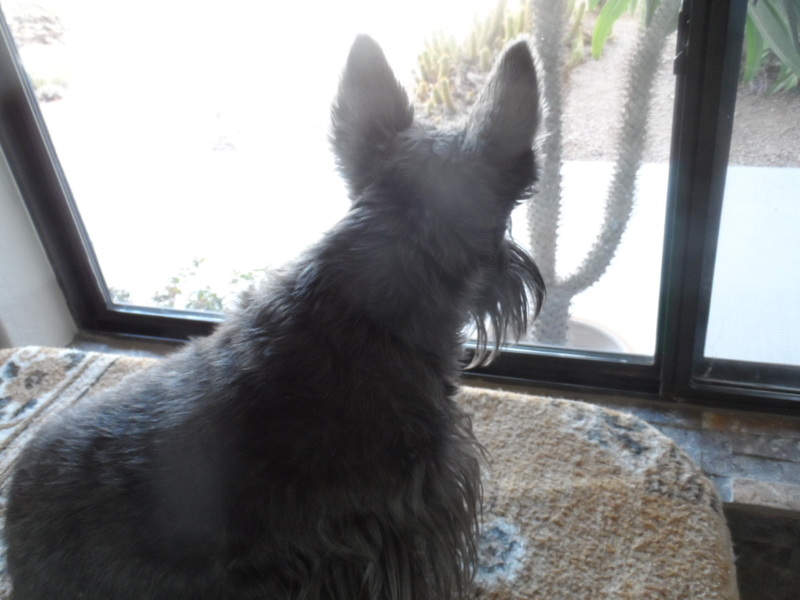 I tried to listen in but first I took a peek outside. Kyla: I’m here as you requested, what’s on your mind? Bunny: As you’re aware, there are a lot of Blogville members looking for the Easter Bunny. Kyla: That’s very true. Are you the Easter Bunny? Bunny: NO but I know the EB. Kyla: Great, can I meet EB? Bunny: No way. Do you know what happened to Christmas Bunny, Passover Bunny, Bastille Day Bunny, Halloween Bunny? Kyla: No, I’ve never heard of any of them. Bunny: Exactly. Every holiday used to have a bunny. They got too close to cats and dogs and even mad birds and got picked off one by one. EB is no fool and won’t meet with any predator. You can tell your Blogville friends to give up the search, it’s impossible to succeed. Kyla: The hunt is the fun, just ask Kali. I’m not going to spoil all my friends’ fun. If the task is impossible, it’s impossible and it won’t make any difference. Bunny: OK, I warned you-what you do with the info is up to you. Bye, Kyla. We never thought about all of the other bunnies.Thanks for relaying this information. I didn’t know myself. It was lost in history. Good thing I never met Halloween Bunny. I love the PSA from the yard bunny. This is very good information for all of us in Blogville. We can look, but not taste. From what I heard, none of us are going to trap EB anytime soon. He’s young-let him have his fun, even if it is pointless. Uh oh-Mollie’s dropping out for a bit. I thought that was pretty crazy, myself. According to that rabbit, Bastille Day Bunny left this earth. Whether it was the guillotine or drinking wine from Iceland, I don’t know. or he died from to much cake, because he had no bread? Awww too. Way cute bunny. Thanks for letting us know the real scoop. Just reporting. Consider the source, I haven’t double checked the story. So THAT’S the story. Huummm…..I’m gonna keep on looking. I gonna get that Kaci for eavesdropping, although that’s nothing I wouldn’t do myself. We never knew about all those other bunnies. 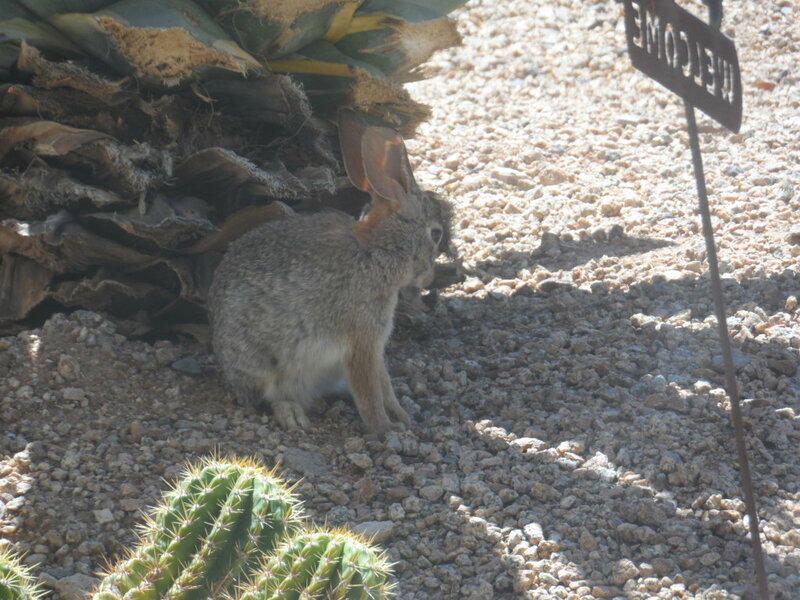 We hope that bunny doesn’t have a run in with a diamondback! He’s managed to keep alive so far so I guess he’s battle hardened. 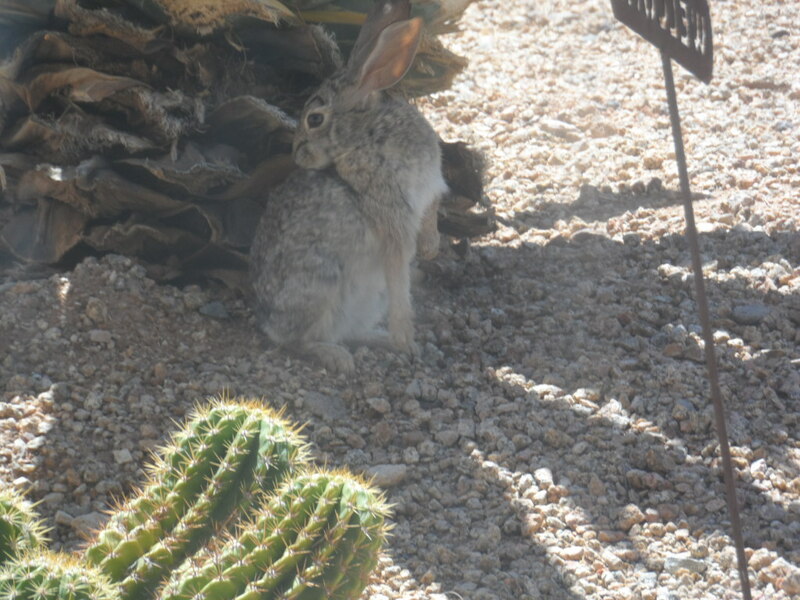 Well, thats OK cause we don’t want to mess with the Easter Bunny….way to many of us and lots of little peeps count on him bringing us stuff!, We will put our basket out, sleep through the night and let him go on his way! Why does everyone in Blogville want to catch him? I love the EB Gifts. Would not think to hurt EB. Thanks for the update info. There are some who would kill the goose that lays golden eggs. Why what a conversation you had about EB his ears had to be burning. My how many languages do you speak Kyla. Lets see Spanish, English and bunny. You would make a great talk show host or interviewer. Better than Woofrey. HAPPY EASTER! And to you, William (and Lee). I hope things have warmed up in the Nati. I’m afraid that’s all we’re going to get. I’ll have to teach the young ones how to make a KIY Easter basket. Wow there lots of special bunnies indeed. I just got up. Most of your Easter is gone already but Happy Easter to you and yours.